NOTICE: Please disregard old order emails you received on 4/1/2019. During an upgrade our systems resent old order emails. No new orders were placed or charged. Find the chipset and features to fit all your PC needs. 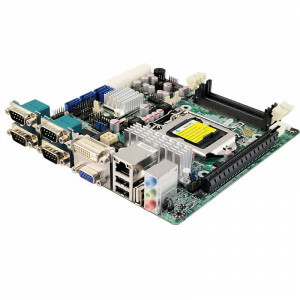 Supermicro C2SBC-Q-O LGA 775 ATX Desktop Board, Intel Q35 Express Chipset, Supports Intel Core2 Quad/Extreme/Duo CPUs, Dual DDR2 800, SATA RAID, PCI Express x16, Retail box. Jetway NF9J-Q87 NF9J Socket LGA 1150 Mini-ITX Motherboard, Supports Intel 4th Generation Core i7 / i5 / i3 Processor, Dual DDR3-1600, SATA III RAID, 2x Gigabit LAN, HDMI, DVI, COM Port, USB3.0, 5.1-Ch HD Audio. Jetway NF9F-H61 NF9F Socket LGA 1155 Mini-ITX Motherboard, Supports Intel 2th Generation Core i7 / i5 / i3 Processor, Dual DDR3-1333, SATA 3Gb/s, Gigabit LAN, DVI, COM Port, USB2.0, 5.1-Ch HD Audio. Jetway NC9S-B85 NC9S LGA 1150 Mini-ITX Motherboard, Supports 4th Generation Intel Core i7 / i5 / i3 / Pentium Processor, Dual DDR3 1600, SATA 6Gb/s, Gigabit LAN, 3xVGA, USB3.0, 5.1-Ch Audio. 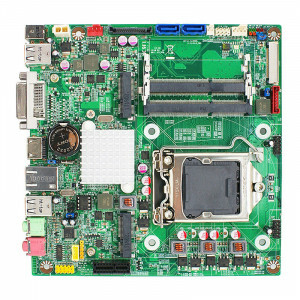 Jetway NC9VL-H81 NC9VL LGA 1150 Thin Mini-ITX Motherboard, Supports 4th Generation Intel Core i7 / i5 / i3 / Pentium Processor, Dual DDR3 1600, SATA III, Gigabit LAN, HDMI, DVI, USB3.0, 5.1-Ch Audio. 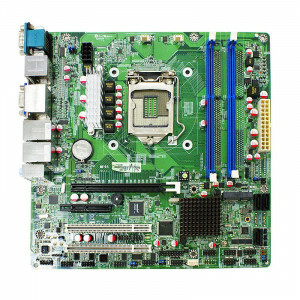 Jetway NC9FL-H61 LGA 1155 Mini-ITX Motherboard, Supports 2nd Generation Intel Core i7 / i5 / i3 / Pentium Processor, Dual DDR3 1066, SATA 3Gb/s, Gigabit LAN, HDMI, DVI, USB2.0, 6 Channel HD Audio. 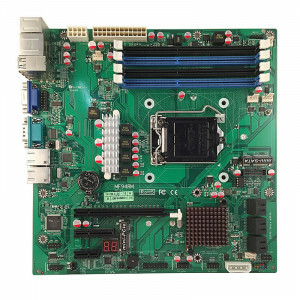 Jetway NMF94RM-Q87 LGA 1150 Micro ATX Motherboard, Supports 4th Generation Intel Core i7 / i5 / i3 / Pentium Processor, Dual DDR3 1600, 2xGigabit Ethernet, SATA 6Gb/s, RAID, HDMI, VGA, USB3.0. 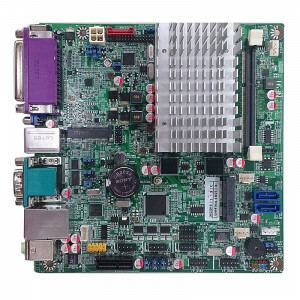 Jetway NMF95-H81 LGA 1150 Micro ATX Motherboard, Supports 4th Generation Intel Core i7 / i5 / i3 / Pentium Processor, Dual DDR3 1600, 2xGigabit Ethernet, SATA 6Gb/s, Display Port, HDMI, USB3.0, 5.1-Ch Audio. 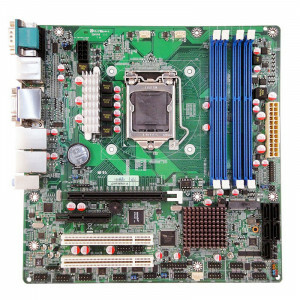 Jetway NMF95-Q87 LGA 1150 Micro ATX Motherboard, Supports 4th Generation Intel Core i7 / i5 / i3 / Pentium Processor, Dual DDR3 1600, 2xGigabit Ethernet, SATA 6Gb/s, RAID, Display Port, HDMI, USB 3.0, 5.1-Ch Audio. 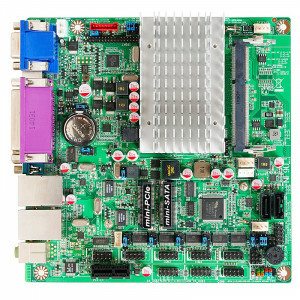 Jetway JNF9VT-2930 NF9VT Mini-ITX Motherboard, Intel Celeron N2930 SoC Processor, DDR3L 1333, SATA 3Gb/s, Gigabit LAN, USB3.0, 2.1-Ch HD Audio. 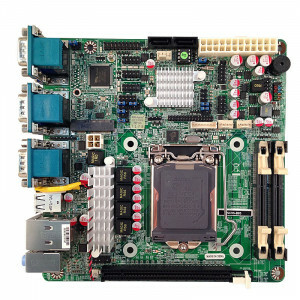 Jetway JNF9U-2930 NF9U Mini-ITX Motherboard, Intel Celeron N2930 SoC Processor, DDR3L 1333, SATA 3Gb/s, Gigabit LAN, HDMI, VGA, Parallel Port, COM Port, USB3.0, 2.1-Ch HD Audio. 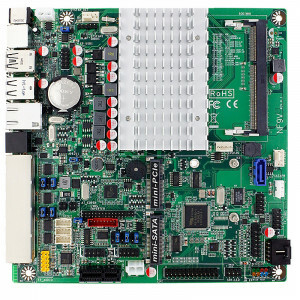 Jetway JNF9T-2930 NF9T Mini-ITX Motherboard, Intel Celeron N2930 and Atom E3827 SoC Processors, DDR3L 1333, SATA 3Gb/s, Gigabit LAN, HDMI, VGA, Parallel Port, COM Port, USB3.0, 2.1-Ch HD Audio. 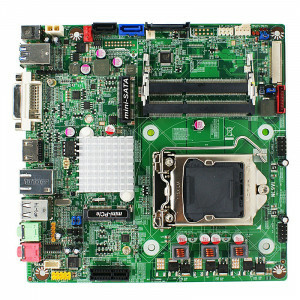 The motherboard is the basic building block on which all PCs are built. It is the central core in which all components are connected to: CPU, graphics card, sound card, hard drive, memory, and other non-essential components. 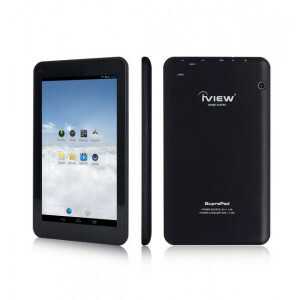 There are a host of selections ranging from dozens of manufacturer and even more products. As a consumer, it can be difficult to tell which the right one for you is. 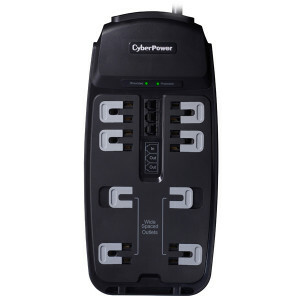 Most people shop or refine their searches by either Socket Type or Chipset. 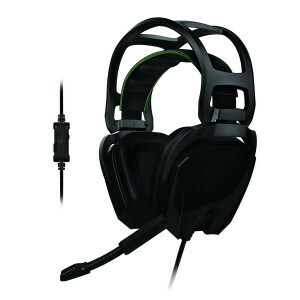 However, it may be more prudent to start your search with knowing which processor you want either an Intel or AMD. The latest sockets for Intel Processors are 1151 and 2011. The latest sockets for AMD Processors are AM3+ and FM2. If you wish to narrow down your search more, please use Directron's advance filters provided on the left. Most orders placed before 2PM CST ship the same day. Sales and Offers. Sign up for our newsletter today! Copyright © 1997 - 2018 Directron. All Rights Reserved.